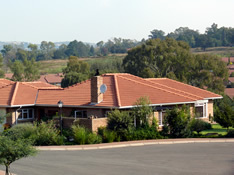 Inyoni Creek retirement village Johannesburg is situated off the N3 on Modderfontein Road and easily accessible from Bedfordview, Edenvale and Johannesburg. 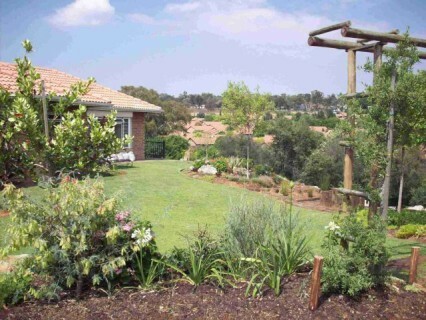 Inyoni Creek provides the discerning retiree with serene, safe accommodation that is sold on a life-rights basis. This new and spacious retirement village has been developed on 20 hectares of land bordering the Jukskei River and enjoys an abundance of bird life around its two landscaped dams and in the extensive gardens and green areas. Secure and tranquil walks can be enjoyed on site as well as by crossing the footbridge to Elphin Lodge. 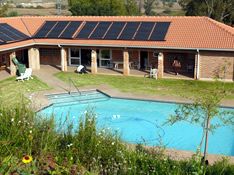 Frail care is also available at Rand Aid's Ron Smith Care Centre situated in the grounds of Elphin Lodge. On-site facilities include a sophisticated but comfortable clubhouse with wooden deck, providing a magnificent view across the two dams. The clubhouse also accommodates a communal lounge with DSTV, well stocked library, reading room and snooker and card rooms. Dining room facilities are available for special occasions. The pool centre is situated centrally in the village and boasts a solar heated pool as well as hairdressing facilities, a beauty salon, launderette and a gym. Services included in the levy: An emergency call system; security includes cameras at the gate and on fences, monitored 24/7 and guard patrols; a village sister for preventative nursing care; a gardening service; weekly servicing of apartments; daily postal delivery; 24-days per annum recuperation in the frail care centre per unit; rates, water; insurance of buildings, external maintenance and administration costs. Electricity is charged for separately. One-bedroom apartments (80m²) with single garage. Two-bedroom apartments (102m²) with single garage. Two-bedroom apartments (115m²) with basement double garage. Three-bedroom apartments (140m²) with basement double garage. Two-bedroom semi-detached unit (166m²) with double garage. Three-bedroom cottages (200m²) with double garage. * Additional garages are available to rent. All garage doors are automated. All units boast a large lounge/dining room leading on to a spacious veranda. The verandas of the cottages have been equipped with a built in braai unit. Kitchens are spacious and well designed with granite counters, providing space for a fridge, freezer, dishwasher, washing machine and tumble drier. All two and three bedroom units have two bathrooms. The one bedroom units have a full bathroom with shower and bath.The last phase of this very splendid retirement village was completed in 2007.Inyoni Creek retirement village Johannesburg has become an extremely popular retirement destination and a waiting list is in place.For more information, and to view our units, contact Ronelle van der Werken at (011) 882-2510 or email ronny@randaid.co.za. string(14) "P O Box 890520"
string(64) "retirement home, retirement village, upmarket retirement village"
string(54) "Rand Aid, Inyoni Creek Retirement Village Johannesburg"
string(3244) "Luxury Retirement Village in Landscaped Gardens   Inyoni Creek retirement village Johannesburg is situated off the N3 on Modderfontein Road and easily accessible from Bedfordview, Edenvale and Johannesburg. Inyoni Creek provides the discerning retiree with serene, safe accommodation that is sold on a life-rights basis. This new and spacious retirement village has been developed on 20 hectares of land bordering the Jukskei River and enjoys an abundance of bird life around its two landscaped dams and in the extensive gardens and green areas. 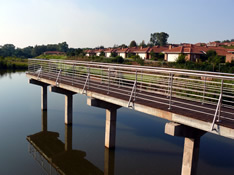 Secure and tranquil walks can be enjoyed on site as well as by crossing the footbridge to Elphin Lodge. Frail care is also available at Rand Aid's Ron Smith Care Centre situated in the grounds of Elphin Lodge. 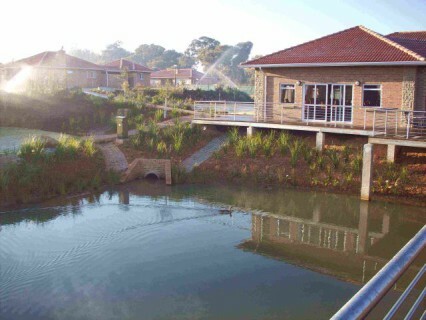 What you can expect at the Inyoni Creek Retirement Village Johannesburg On-site facilities include a sophisticated but comfortable clubhouse with wooden deck, providing a magnificent view across the two dams. The clubhouse also accommodates a communal lounge with DSTV, well stocked library, reading room and snooker and card rooms. Dining room facilities are available for special occasions. The pool centre is situated centrally in the village and boasts a solar heated pool as well as hairdressing facilities, a beauty salon, launderette and a gym. Services included in the levy: An emergency call system; security includes cameras at the gate and on fences, monitored 24/7 and guard patrols; a village sister for preventative nursing care; a gardening service; weekly servicing of apartments; daily postal delivery; 24-days per annum recuperation in the frail care centre per unit; rates, water; insurance of buildings, external maintenance and administration costs. Electricity is charged for separately. The type of accommodation at the Inyoni Creek Retirement Village Johannesburg Inyoni Creek has a total of 175 units, of different sizes to ensure all needs can be accommodated: One-bedroom apartments (80m²) with single garage. Two-bedroom apartments (102m²) with single garage. Two-bedroom apartments (115m²) with basement double garage. Three-bedroom apartments (140m²) with basement double garage. Two-bedroom semi-detached unit (166m²) with double garage. Three-bedroom cottages (200m²) with double garage. * Additional garages are available to rent. All garage doors are automated. All units boast a large lounge/dining room leading on to a spacious veranda. The verandas of the cottages have been equipped with a built in braai unit. Kitchens are spacious and well designed with granite counters, providing space for a fridge, freezer, dishwasher, washing machine and tumble drier. All two and three bedroom units have two bathrooms. The one bedroom units have a full bathroom with shower and bath.The last phase of this very splendid retirement village was completed in 2007.Inyoni Creek retirement village Johannesburg has become an extremely popular retirement destination and a waiting list is in place.For more information, and to view our units, contact Ronelle van der Werken at (011) 882-2510 or email ronny@randaid.co.za. 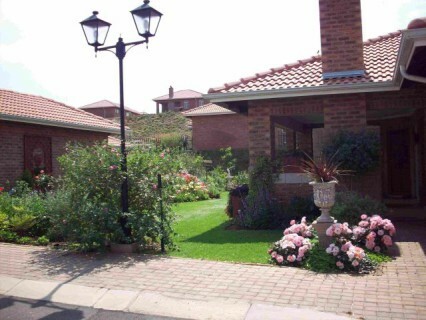 For information on more Rand Aid retirement villages, click here..."
string(44) "Inyoni Creek retirement village Johannesburg"
string(126) "Inyoni Creek Retirement Village Johannesburg is located in Edenvale, on the East Rand of Johannesburg, just off the N3 highway"
string(147) "The village offers a total of 175 modern and well appointed units, from one bedroom apartments to large 3 bedroom cottages, catering for all needs." string(107) "Sophisticated but comfortable clubhouse with wooden deck, providing a magnificent view across the two dams." string(86) "Security includes cameras at the gate and on fences, monitored 24/7 and guard patrols." string(125) "Pool centre which is situated centrally in the village and boasts a solar heated pool as well as hairdressing facilities, a b"
The village offers a total of 175 modern and well appointed units, from one bedroom apartments to large 3 bedroom cottages, catering for all needs. Sophisticated but comfortable clubhouse with wooden deck, providing a magnificent view across the two dams. Security includes cameras at the gate and on fences, monitored 24/7 and guard patrols.